For both aesthetic and practical reasons wood windows have long been a top choice for residential windows. They are made from a variety of wood types including pine, fir, redwood, cedar, mahogany, and cypress. Since wood windows have better insulation properties than metal, they are a more energy efficient window, although falling short of vinyl or fiberglass in this area. Further, since wood is easily manipulated in terms of style and decor, wood windows are popular for custom window jobs that require unique design specifications. Wood windows can be painted to match any exterior color of the home. One drawback, however, is that wood windows need to be painted regularly to avoid undesirable paint chipping and exposure of the wood to the elements which can lead to rot. 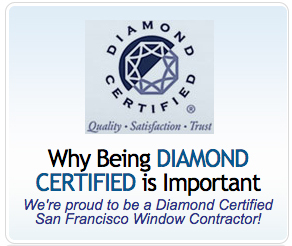 For this reason, if you are looking for a window that requires minimal maintenance at a lower cost, a better option may be a vinyl or fiberglass window. 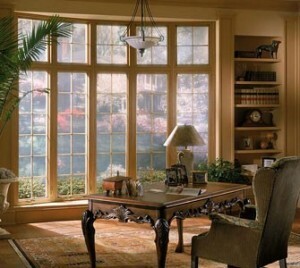 Still, if a wood window is properly cared for, it can be made to last for many years.